This week OpenOffice 3.0 was released and once again I found myself questioning as to why we spend good money on Microsoft Office when there is a completely free alternative available that does the job just as well.After all, it’s not as if Office 2007 is cheap; the professional version comes in at an impressive £350 and it’s not as if I even like Office 2007. Unlike previous versions which used a standard Windows interface, I find the latest incarnation completely out of keeping with other applications which all keep to roughly the same, familiar user interface.Perhaps old age it starting to catch up with me but even after a year of usage I still find myself spending what seems like an eternity looking in vein for even the most basic of functions. Software for the Windows Operating System has always adhered to a certain menu layout so that users could quickly and easily pick up a new application, but it seems Microsoft now require us to spend weeks figuring out where they’ve moved a basic function such as ‘find’ which should be located in a drop down ‘edit’ menu. Writer: The equivalent to Microsoft Word which includes all the usual features such as AutoCorrect, AutoComplete, AutoFormat, Styles and Formatting, Spellchecker, Grammar Checker and illustration tools.Unlike many other applications (including previous versions of Microsoft Word), Writer can also open and save the .docx format that is used by default in Office 2007. Calc: Similar to Microsoft’s Excel spreadsheet application, Calc includes all the standard functions as well as more advanced features such as an Intelligent Sum button and Scenario Manager. Impress: This is designed to replace Office’s PowerPoint presentation application to allow you to create multimedia applications using a combination of clipart, drawing tools, animation, transition effects, text tools and special effects.Work can be shared using a number of formats such as the standards .pdf, .html and Flash. Draw: Does pretty much what it says on the tin; Draw allows to create graphics including sketches and plans quickly and easily. Base: An advanced database application for managing raw data, forms, queries, tables and reports which also includes a number of wizards that should get newcomers up and running immediately. It’s at this point that the penny drops and I realise that there is something missing; unfortunately an e-mail client as an alternative to Microsoft Outlook appears to be absent which for an Internet company such as Refresh is a big issue hence why we probably haven’t yet made the switch.While there are free alternatives available such as Outlook Express and Mozilla Thunderbird I personally have never found they come anywhere close to Outlook in terms of functionality. 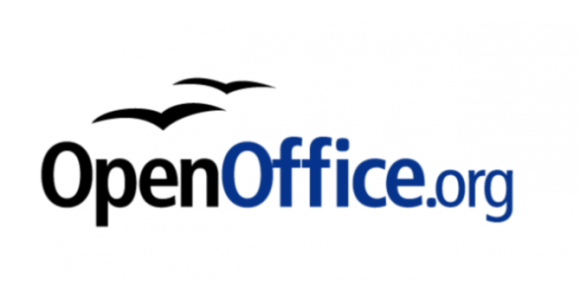 Perhaps for the next incarnation they will consider the inclusion of an e-mail client but this omission aside, OpenOffice is a near perfect application which can be downloaded free of charge from www.openoffice.org.The 142mb file size, whilst large, shouldn’t take more than about half an hour, even on modest broadband connections.